Interjet has dropped the price of some of their non-stop flights from Vancouver to Mexico City down to between $246 and $285 CAD roundtrip including taxes. If you're comfortable booking in Spanish, you can book these flights for $246 CAD roundtrip. 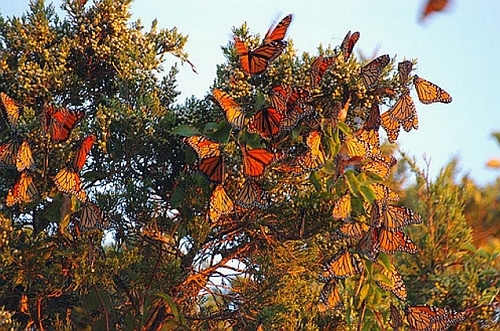 This is a good time of year to check out the famous Monarch butterfly migration near Mexico City. Try the same dates as shown in the list above. The price should show up as $3,725 pesos for a roundtrip flight. If not, you can click on 'Visualiza todo el mes' to open up the calendar view and look for the date combinations that add up to around $3,725 pesos roundtrip. When booked with a Canadian credit card, $3,725 pesos will work out to $246 CAD roundtrip based on today's exchange rate, and including the typical credit card foreign exchange fee. Try going to the Expedia Mexico website (www.expedia.mx) and searching for the same dates you found on the Interjet website. I've noticed that although the price appears way higher at first on Expedia, once you get to the confirmation page, the confirmed price drops to a similar price as showing on the Interjet website. (See screenshot below). NOTE: Once your Expedia search completes, you may need to select 'Directo / non-stop' (only) on the left hand side to see the Interjet flights. I've found I had to do this twice, once for each leg. vancouver, yvr, mexico, flight deals, mexico city, mex, north america and interjet. No Responses to "Vancouver to Mexico City - $246 to $285 CAD roundtrip including taxes | non-stop flights "